The garden centre sells plants and products from their shop. They also let out spaces, run garden therapy sessions, and provide green design services to local businesses. Profits are reinvested into running community activities. Much more than a shop, the centre has community gardening sessions for people with severe physical and learning disabilities and dedicated allotments for user groups like the Deaf Centre. 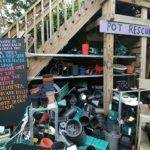 The centre operates on organic principles and runs a plant pot recycling scheme. It also has a compost toilet, sells natural products and helps people understand the environment better. 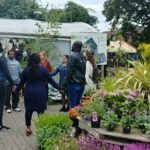 After two decades of anti-social behaviour and unrest, followed by intense regeneration, the residents of Manchester’s Hulme ward decided to start a garden centre to have a space of their own and in the year 2000, the Hulme Community Garden Centre opened. Today it is a well-established community business in this up-and-coming neighbourhood, welcoming anyone to become a member for £1. 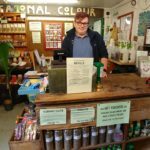 Their main income comes from sales through the small shop in a former shipping container, which sells natural products like bamboo toothbrushes, shampoo refills, hedgehog feed, and plants which they grow to organic principles on site and in two polytunnels. In 2017, the centre manager was accepted onto the Trade Up programme and received business development training and the opportunity to receive match-funding from Power to Change for up to £10,000 of traded income. This really pushed the team to increase trading across all areas and explore new avenues including growing edible flowers and micro-crops to supply to restaurants. The programme also helped them realise that their shop needs to be expanded to generate more sale opportunities. They’re currently working on plans to raise funds through a mix of grants, loan finance and a community share offer to build a new bigger shop to enable them to invest even more profits into community wellbeing and social inclusion. The Trade Up programme encouraged me as a manager to take more risks and invest to grow which has had a positive impact on our trading activity and income. 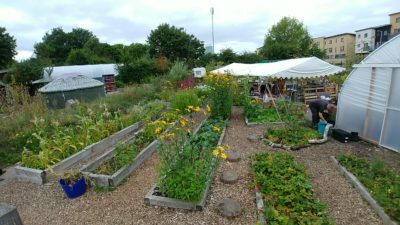 The rest of the sprawling two-acre site has been turned into community gardens, with lots of different spaces built by local and corporate volunteers including a veggie café, a straw bale classroom, a yurt and dedicated raised beds for different user groups like people from the Deaf Centre. The spaces are often hired out for learning and training, for schools, corporates and events like music festivals, and immersive storytelling. They also have a permaculture trail to educate visitors about sustainability. I’ve been volunteering here for years. It feels good to do something decent. Grow things, help people. 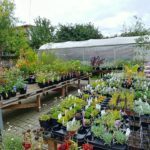 Hulme Community Garden Centre’s profits are used to subsidise community activities like the weekly ‘Marrow Barrow’ sessions for people with severe physical or mental disabilities, so they pay only a few pounds per session. They help with odd jobs round the centre, like moving compost. They want to be trusted and valued. And this helps them feel human again. 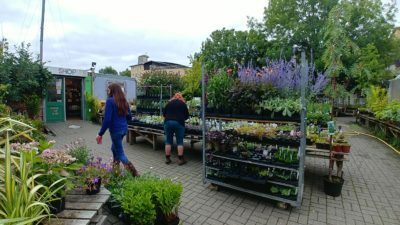 The garden centre also run a weekly ‘wellbeing’ volunteering session which is aimed at people with mental health issues and a monthly ‘Busy bee’ day for small groups of corporate volunteers to drop-in. The garden centre also runs a consultation service, advising local businesses and local people on green design, build and maintenance. For example, they designed the planting for a skatepark under the Mancunian Way flyover and maintain the Manchester Firefighters’ Memorial Garden. In 1998, the local community asked the council if they could take on a one-acre derelict plot of land. They formed an Industrial Provident Society – now a Community Benefit Society- and opened a garden centre. In 2012, they took over the one-acre disused car park next to the existing site and created community gardens and a woodland trail. Over time they have built a yurt, a straw bale classroom, a wood recycling workshop, community allotments in raised beds, a cob pizza oven, a fresh chamomile ‘relaxing’ bed, a sensory garden and a children’s play area, with the help of their regular volunteers and corporate volunteers. I joined as a business administration apprentice and now work full-time, helping with bookkeeping, running the shop, coordinating volunteers and I’m part of the management committee. They currently have around 100 regular volunteers, 9 staff, and 55 members of the local community who have a say in the running of the business, with a one member one vote system. Twice a year, the staff team visits other businesses to learn from them.